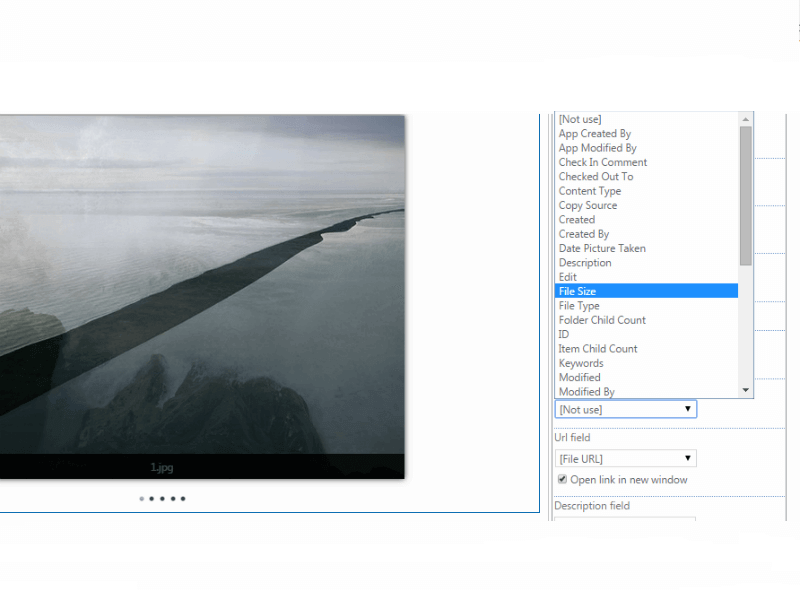 SharePoint Image Slider App for Office 365 displays images from a SharePoint document library using different views and filters. SharePoint Online Image Slider App is a simple and effective free app, which displays a picture slideshow from an Office 365 document library. You can easily customize SharePoint Image Slider App for your purposes. You can organize a slideshow or display a picture catalogue on a SharePoint page. With SharePoint Image Slider App, you can make any picture presentation on a SharePoint site more engaging. Try also SharePoint Image Slideshow on-premise. 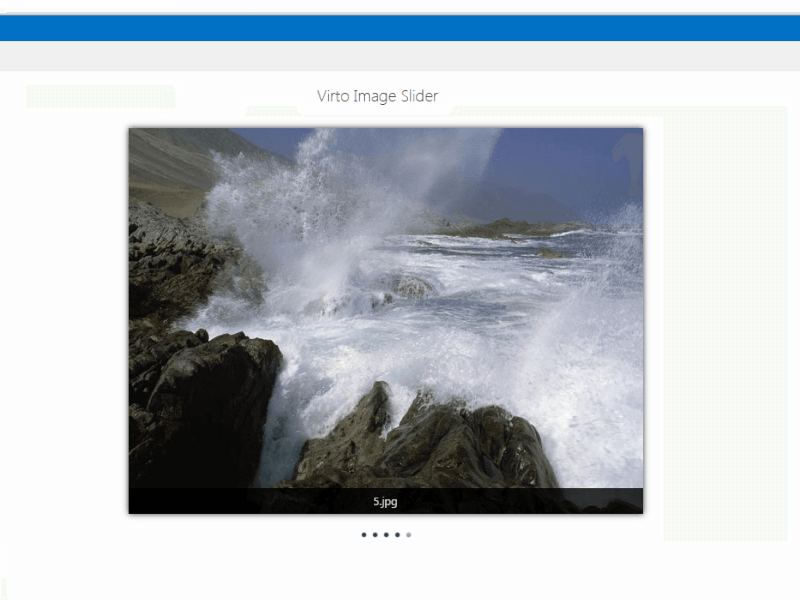 Use Image Slider App to display images from a SharePoint library on any SharePoint site page. It is the easiest way to organize a slideshow in your Office 365. Show only the selected pictures when you adjust your picture slideshow. Apply a set of filters to exclude pictures not intended for display. Adjust the speed of images presentation in SharePoint Image Slider App. Images will be displayed according to a predefined schedule. Your presentation on a SharePoint site would be more interesting, representative and helpful with this feature. You can add links to any sites, insert informative image descriptions and add navigation. 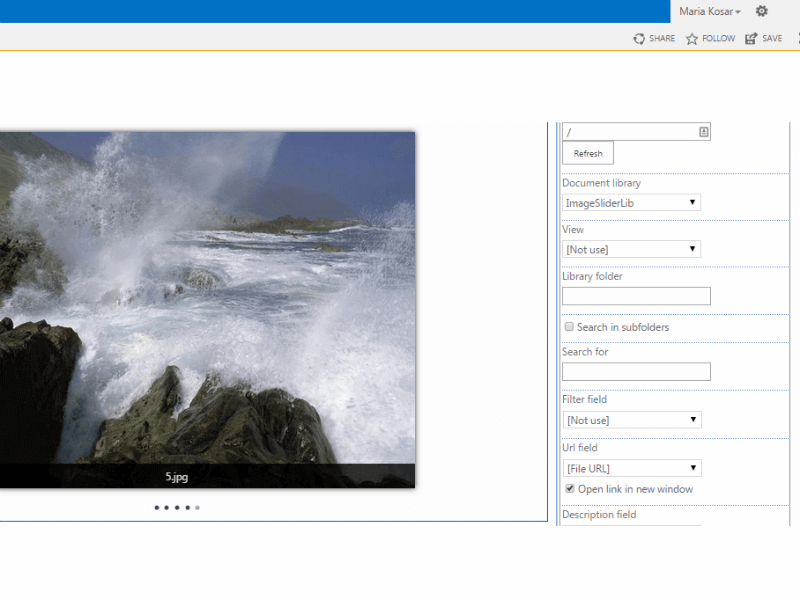 Office 365 Image Slider App allows users to view images from a SharePoint pictures library as a slideshow. You can adjust the image presentation style, choose visual and transition effects, transition speed, slide displaying order (random or in order), add image descriptions, set width and height of the screen. SharePoint Image Slider App will make your SharePoint site more effective and engaging. Show only selected pictures when you adjust the picture slideshow. SharePoint Image Slider App provides the ability to use captions from an item field value. With SharePoint Image Slider App, you can set width and height of the screen. You can adjust slide transition speed, choose one of 16 transition effects, and set the period of the slide displaying. 3 themes, show navigation and Next & Prev navigation. 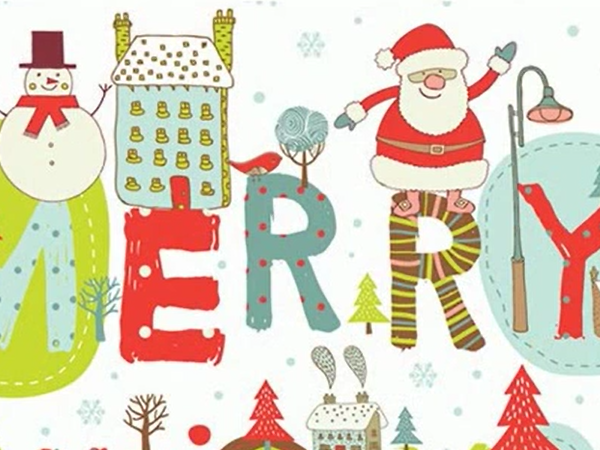 Slideshow pauses when the mouse point is moved over an image. Choose slide displaying order (random or in order). This sharepoint slider is exactly what we were looking for, very easy to use. No negative points. Great web part, worked well in one go on our internal sites. Easy and simple slideshow maker. I just searched for SharePoint free image slider and now I`m completely satisfied with this app! Thank you, guys!